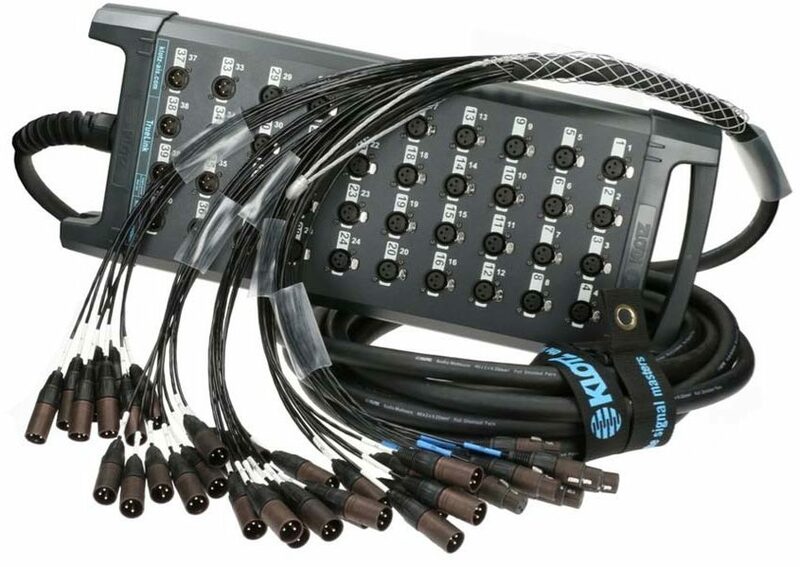 Multicore cables are made up of multiple individual signal conductors or “channels”. They are primarily used in audio and lighting technology to transmit multiple signals from stage to mixer and back. On the stage, the multicore is connected to the stage box to which the outputs of the individual instruments are connected. 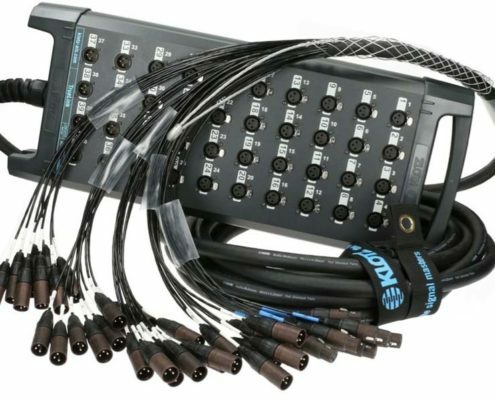 The other end is connected to the mixer using a pigtail or fanout, a bundle of XLR or jack connectors which terminate the individual wires.